POETRY IS AFTERALL A WEAPON AGAINST THE WORST, WHOSE EFFECTS ARE IN THE LONG TERM AND BELOW THE SURFACE! RD: – Jean-Pierre Siméon, you’re a poet, playwright, novelist, author of children’s books, artistic director of the festival Le Printemps des Poètes [Springtime of Poets]. Would you please tell us what in your view are the features and distinctive aspects of the identity of the writer and particularly of the poet? JPS: – You refer to my many activities and the various fields that I invest in my writing. It can indeed seem to be a lot, but, in reality, poetry is clearly the common denominator of it all. I take the view, as you know, that being a poet is first and foremost a life-long commitment, and the texts are in a way only the symptoms, they are the expression of another way of situating yourself in existence, of viewing reality and of understanding both existential and social issues. RD: – How do you experience that commitment? JPS: – In fact, what I’m concerned about is not living that commitment on my own, but to view it, from a political point of view, as a position that can be shared, based on values opposed to the dominant values of power, possessions and appearances, a position that therefore, if it were shared by many, would make it possible to imagine a collective destiny that I believe would be happier. RD: – In Être écrivain [Being a writer] (Éditions de La Découverte, 2000), sociologist Nathalie Heinich, does a survey on the writer’s profession. This book highlights the fact that the writer, like any artist, always falls between a concern for authenticity, and a concern for being recognized, between a concern for creating a beautiful work, and the need to sustain it and even make it a success. For many, the act and the activity of writing symbolize an existential issue: destined to produce a work that can endure, that leaves something behind. With Jean-Marie Barnaud, you direct the Grands Fonds collection for the publisher Cheyne éditeur. 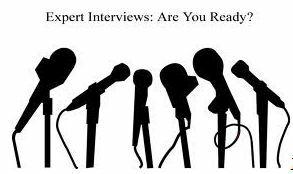 You’re in direct contact with a large number of authors who propose their writings to you, and you make the selection for the publisher. What does the authenticity of these authors consist of? JPS: – The work of an editor obviously depends on the basic orientations that guide his choices. At Cheyne, the first criterion is not to do literature for the sake of literature nor, of course, to « produce » books for commercial purposes. The idea rather is to make room for and reflect on unique, demanding words that open us up to an understanding of the world and thus to a sensitivity to more authentic people and things. RD: – Do you reject the imagination of the poet as a simple personal site of the soul? JPS: – We do not reject the expression of the soul, but, without necessarily giving the soul a mystical resonance, view it rather as the expression of this human sensitivity to the reality shared by all humanity. What we are rejecting therefore is the pure literary game, gratuitous formalism. What we are looking for in texts is the expression of a real, engaged human experience. RD: – In recent years, literature no longer seeks to be just a game of emotions, ideas, forms or the free exercise of imagination; currently it is instead the effect and reflection of our time when everything is monetized, when everything is exchanged. What do you think of that? JPS: – What you say about literature is only true if we accept the contemporary pretence that essentially reduces literature to the novel. A pretence which I am constantly denouncing myself, which has its causes, of course, in the predominance of the economy now over everything else, including culture. The novel, as I explain in my essay La poésie sauvera le monde [poetry will save the world], has the advantage today of a hegemonic position given that it falls within the dominant model of general fiction, since today any legitimate appropriation of the real goes through fiction, including information. Poetry, because it has never followed this logic, and because, in essence, it cannot, remains from this point of view free, even though, as a corollary, it is ipso facto omitted or marginalized from the literary field. A literature that escapes from the constraint of the current, from economic demand or the demand for entertainment is the one that precisely conserves and manifests a poetic function. JPS: – I think that, in fact, poetry has to think of itself in terms of the contribution that it makes to the human community and not as a solitary, separate practice. I believe that poetry is the basis for a kind of hope given that it constantly expands understanding of the world, therefore the range of possibilities, and proscribes docile submission of consciousness to anything that denies humanity. RD: – Is poetry a semantic firearm? JPS: – Of course, poetry can do nothing against a Kalashnikov, it can’t solve immediate social and political problems, but it is still a weapon against the worst, whose effects, however, are in the long term and below the surface. Poetry does not have immediate effects on the symptoms of human sorrow, but to the extent that it works on collective consciousness, it is a permanent objection to its causes. I recall this magnificent quotation from Roberto Juarroz: « Poetry is an extraordinary accelerator of consciousness. » We still have to, in order to obtain this benefit, share it with the greatest number, as I am trying to do through the Printemps des Poètes, for example, this effort of consciousness. RD: – What is the point of writing in a civilization that takes less and less interest in real literature and that is afraid to read poets? JPS: – …the more a civilization loses its soul, the more it accepts the collective lowering of consciousness, the more, to put it frankly, it loses its humanity, the more art and poets are necessary, that is, the most radical objection to this denial. But my answer is only valid for those who believe that they are concerned by shared destiny and that they cannot accordingly be content with the current state of affairs. RD: – To give poets a sense of responsibility? JPS: – This means giving art and poetry, I am well aware of this, an ethical and political responsibility. I’ve always believed that in all civilizations, art manifests an objection, a counterbalance to the deadly trend of any society to become dehumanized, because the inverse movement assumes effort and will. And it is always easier to give in to a loose consensus. RD: – Should the twenty-first century — complicated and complex, moving adrift or ahead —- be the century of Poetry? JPS: – I have already said and I still think that poetry will find, during this century in a Europe that had forgotten it, a more asserted existence. By reason even of what I was saying in answer to the previous question: it responds more than ever in a world that is losing reference points, in particular in the consumerist world of the rich countries, to a demand for meaning and values. If poetry is an objection, as I believe, a countercurrent, it will, of course, never be an art that is unanimously shared and celebrated, but its strength lies in its capacity for internal objection. When the rejection of the economic and financial system that prevails today and the rejection of its consequences seeks, as we are seeing today, points of support and arguments, poetry, without ever, of course, offering an alternative system, can, however, light the way. RD: – How can writers become watchdogs, awakeners of consciousness?! JPS: – The role of artists and writers and therefore of poets is to manifest within society, obstinately and without compromise, a free language that permits everyone who wants to to escape the determinisms of thought, the injunctions of fashion. Their role is to bear witness publicly to their convictions through their work. Even though this does not immediately reach the general public, I believe in the slow, underground distribution, through capillary action, of the demands that they embody. RD: – In your essay La poésie sauvera le monde, you make your readers more aware of the urgency of poetry and life as a poet. I quote you: I mean by poetry not the charming ornamentation that we usually see, but the radical, uncompromising manifestation of a way of being in the world and a way of thinking the world that has consequences in all spheres of social, moral and political life. Poetry designates that state of raw consciousness that, taking pleasure in the unknown and the unforeseen, challenges any closing off of meaning, that is, all those ossifications, peremptory concepts, fixed identifications, categorizations of every kind that repress life, this perpetual movement, and make us miss reality as it is true and as the poet and the artist perceive it and recreate it: with an insolent, infinite depth of field. You are a committed author. What do your commitments consist of? JPS: – My commitment is the one that my previous answers have, I believe, clarified. Whether in the Printemps des Poètes, or in my theatrical or educational activities, commitment consists of formulating a firm, if possible coherent point of view, even if it disturbs, surprises or requires an effort of reception. The principle of this commitment, which gives it meaning, is to consider a priori that anyone is likely to have their consciousness raised through access to the most unforeseen forms of poetic speech and artistic works. RD: – In his letter to Hetzel, Victor Hugo proposed awakening the people. Do writers, poets, artists, in general, seem to you to be able to, better than other individuals, carry out such a mission? JPS: – Writers, artists and poets are, of course, not the only ones capable of awakening consciousness. I believe that any intellectual effort, any new mental construction, any unexpected adventure of the heart and mind contributes to this task. This is true belongs both for the basic sciences, for example, and for the social sciences. But I believe that poetry specifically, through its radical nature and its desire for the absolute, is in tune with all human acts of liberation. RD: – Some authors also describe writing as a kind of therapy, others as personal fulfillment. To the point sometimes of identifying their lives with writing. Many professions, many strings in your soul, many skills, Mr. Siméon, how do you share, on a daily basis, writing, the life of the author, and the profession of teacher? JPS: – As far as I’m concerned, writing is certainly not a kind of therapy nor even the means to personal fulfillment. It is for me the means that is only the most appropriate for me to live the commitment that I was talking about. As I said previously, my many functions all have poetry as a reason: they are only facets of a single impulse and of this intensity of life that, I believe, alone justifies our presence in the world. RD: – Thank you for this plea in favour of the poetry that saves us and unites us! Poet, novelist, playwright, critic, Jean-Pierre Siméon was born in 1950 in Paris. 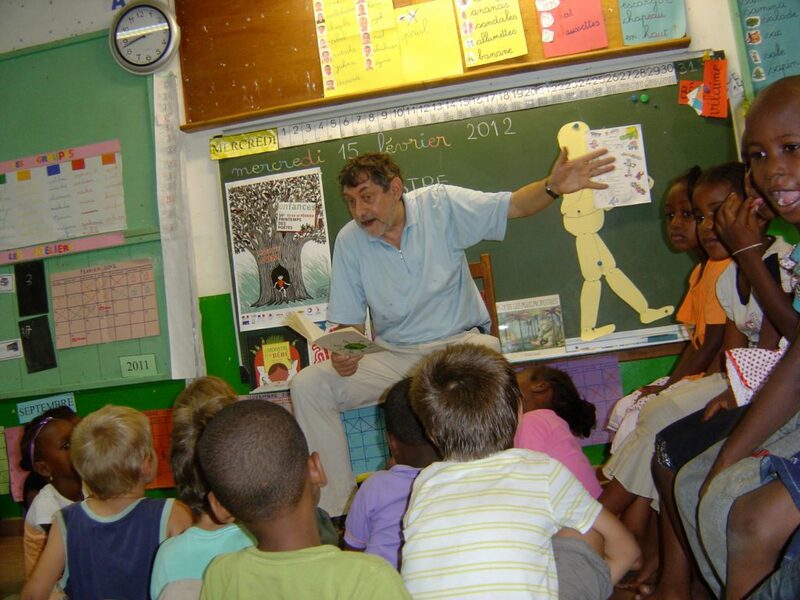 Associate professor of modern literature, he has long taught at the Institut Universitaire de Formation des Maîtres [university teacher training institute] in Clermont-Ferrand, the city where he lives. He is the author of many collections of poetry, novels, children’s books, fourteen plays, an essay on the theatre and another on Laurent Terzieff, essays on the need for poetry, for example Aïe un poète ! [Ouch a poet!] and La Vitamine P. He has also done translations (from German with Le Voyage d’Hiver by W. Müller and from English with Foley by M. West, as well as poems by Carolyn Carlson). 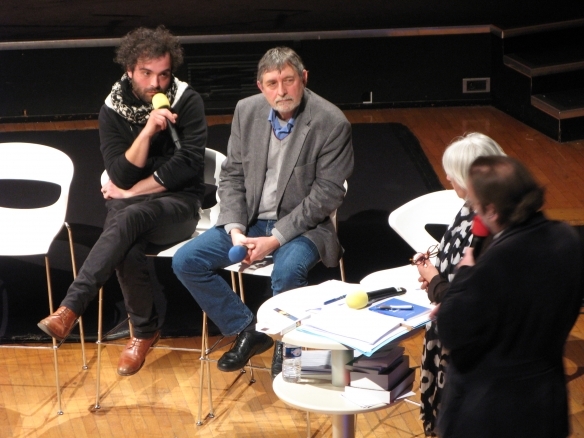 With Christian Schiaretti, he founded the festival Les Langagières [The Language Women] at the Comédie de Reims and is now associate poet at the Théâtre National Populaire in Villeurbanne. As well, he teaches at the École nationale supérieure des arts et techniques du théâtre (ENSATT) in Lyon until 2010. Since September 2012, he has taught theatre writing at the Institut d’études politiques de Paris (commonly referred to as Sciences Po) in Paris. In 1986, he created La Semaine de la poésie [poetry week] in Clermont-Ferrand. He was a member of the poetry commission of the Centre national du livre (CNL) [national book centre] and collaborated as a literary and drama critic at the newspaper Humanité. He was an advisor to the Mission pour l’Art et la Culture of the Ministère de l’Education Nationale. He is on the editorial committees of several magazines and directs with Jean-Marie Barnaud the « Grands Fonds » collection for the publisher Cheyne éditeur. He has been the artistic director of the Printemps des poètes since April 2001. His most recent text for theatre Et ils me cloueront sur du bois [And they will nail me to wood] will be created at the Festival de la Chaise-Dieu in August 2014; Philoctète and Le Testament de Vanda [Vanda’s will] were staged in 2009, respectively at the Odéon-Théâtre de l’Europe, directed by Christian Schiaretti, with Laurent Terzieff, and at the Théâtre du Vieux-Colombier, with Sylvia Bergé, directed by Julie Brooch. Producer at France Culture (French public radio) for the Géographie du poème program. For more than twenty years, he has published all his poetry collections with Cheyne éditeur. 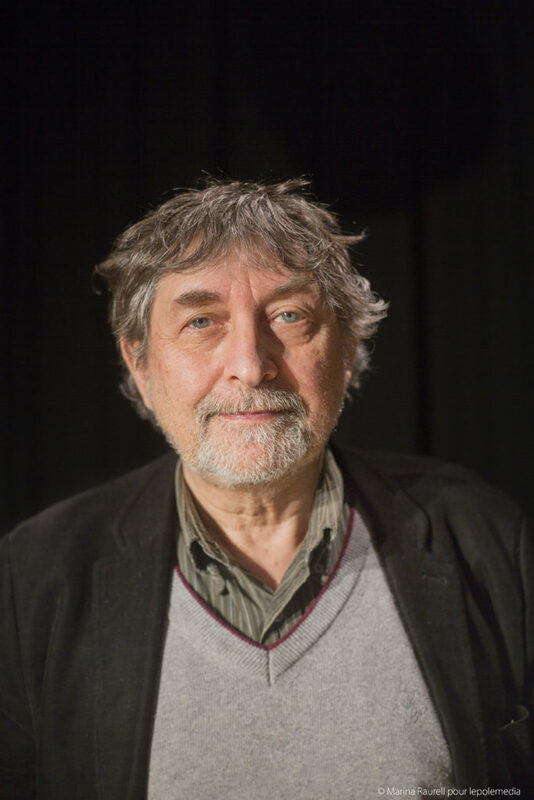 His poetic works won him the Théophile Briant Prize in 1978, the Maurice Scève Prize in 1981, the Antonin Artaud Prize in 1984, the Guillaume Apollinaire Prize in 1994 and the Grand Prix du Mont-Saint-Michel for the body of his work in 1998. 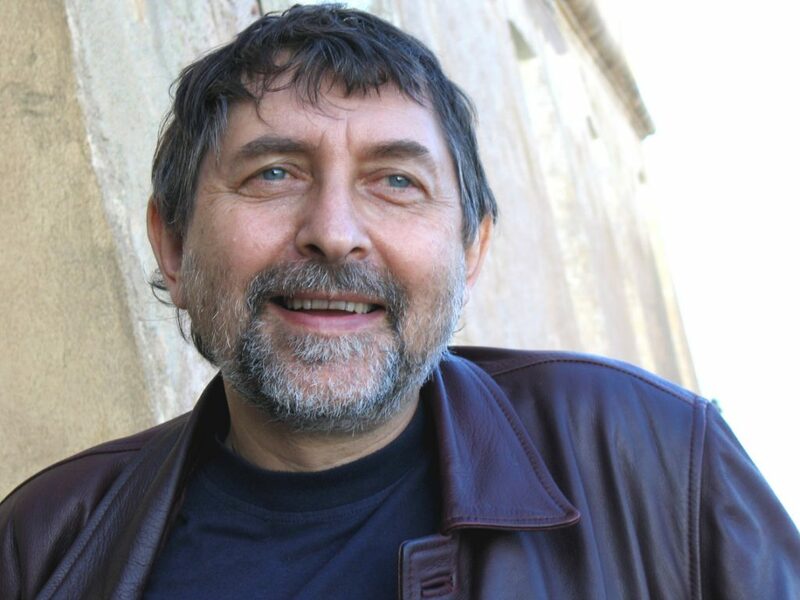 In 2006, he received the Max Jacob Prize for his collection Lettre à la femme aimée au sujet de la mort [letter to the beloved woman regarding death] and in 2010 the Lucian Blaga International Poetry Prize in Cluj (Romania). 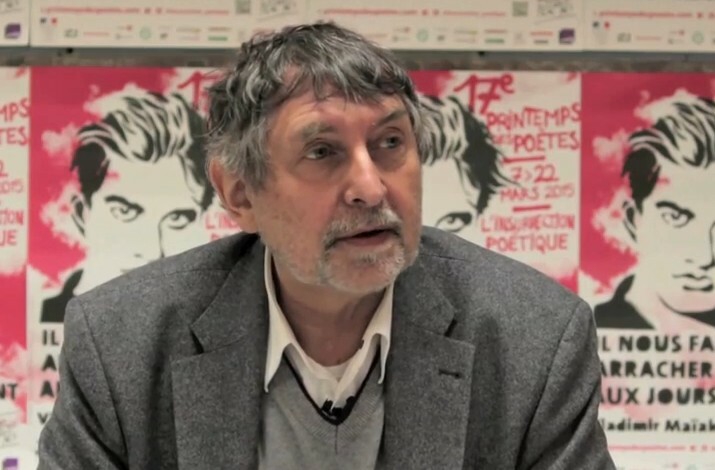 He has chaired the jury of the Prix Apollinaire since 2014.